French theatre theorist and writer Antonin Artaud was probably the first person to coin the term ‘virtual’, in The Theatre and Its Double (1938). He compared alchemy with theatre by declaring that both are visual arts, which don’t convey their end. Both theatre and alchemy are fictional in the sense they are immaterial, but they always make allusions to the material. Alchemy is frequently mentioned by the historians and the philosophers when refering to the history of chemistry. 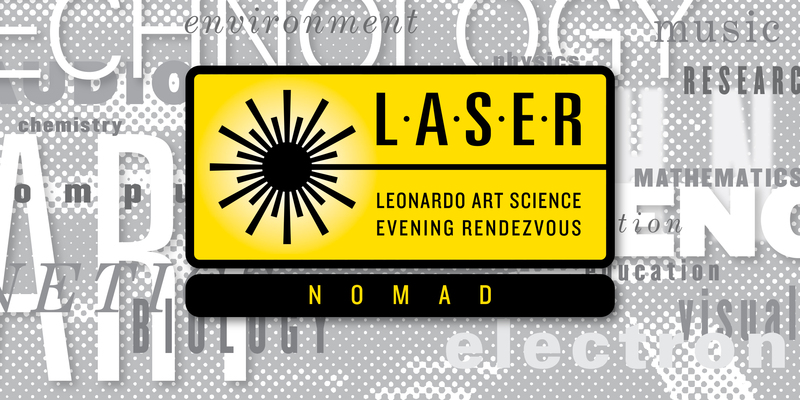 Laser Nomad Talk in Salvador proposes a dialogue exploring points of contagion between art and science, understood as fields of symbolic production, implied in worldviews and submitted to social, political and economic contexts. If, on the one hand, science as a mode of production of hegemonic knowledge has served as a basis for legitimizing the most diverse epistemicides perpetrated by the colonial expansion project, art, on the other, has been consumed by an avid market ignoring ritual dimensions, where healing, care and aesthetics are indissociable aspects of the same whole. How to think of models and interfaces, which reconsider the magical and mythical origins that are at the root of both of them? Which epistemologies and cosmovisions can we bring to this conversation? Graduated in chemistry from Federal University of Bahia (UFBA) , Master and PhD in teaching, philosophy and history of science at UFBA/ UEFS. Currently Professor and vice director of the Institute of Chemistry UFBA. is an audiovisual artist an researcher trained as a filmmaker. She has a BA in Film Studies, a MA in Aesthetics and Technology and a PhD in Interdisciplinary Poetics at the School of Visual Arts at Rio de Janeiro Federal University. Between 2014 and 2015 she was a visiting scholar at the Flusser Archiv at the Berlin University of the Arts. Her theoretical and practical production is based on analog and digital video circuits, media archeology and hybrid systems, unfolding in installations, interventions and science fiction. As a filmmaker she has received awards in Oberhausen and Buenos Aires and has exhibited her films at the Havana, It’s All True and São Paulo festivals. Her video interventions and installations have been exhibited at Festivals such as Live Performers Meeting, Rom; Vorspiel/ Transmediale, Berlin and Eletronika BH, Belo Horizonte. She lives and works in Salvador as a Professor at UFBA, and has been designing video circuits for film, theatre, performance and exhibitions since 2002.